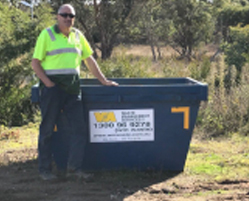 WM Waste Management Services is an Australian-owned business operating from Boronia, in Victoria’s South Eastern Suburbs. Established in 1985, WM has provided an invaluable recycling service to the local community for well over three decades. At WM, we endeavour to provide the most convenient waste removal, rubbish bin hire, and solid waste management achievable. 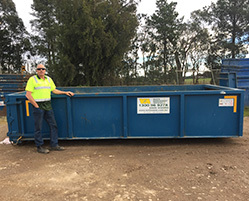 Our commitment to the community extends beyond simply supplying rubbish skips for the removal of waste; we also strive to maintain the beauty of the surrounding Dandenong Ranges by affording local businesses and families the most efficient rubbish skip hire and the means to effectively recycle and reducing landfill. 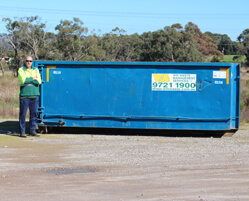 Skip Bin Hire (small to large): our rubbish skips range in size from 2-23 cubic metres. Cheap Skip Hire: reduced rates for the individual rubbish removal of 100% concrete or 100% clean soil. Walk In Bin Hire: also known as “Roller Bins”, walk in bins are readily available for hire. Solid Waste Management: from green waste to concrete, soil and steel, WM recycle all forms of hard refuse. 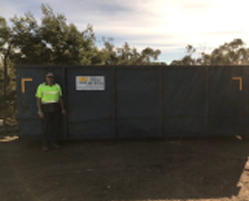 Understanding that our clients are our most valuable asset, we continually strive to improve the waste removal process and rubbish skip hire experience. WM adhere to all industry OH&S standards. Service was great and staff super helpful. Recommend.